WWII. 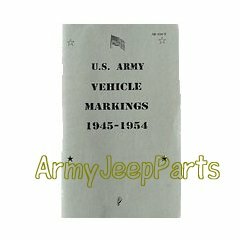 Reproduction of Army regulations that show where stars, bumper markings, etc. are placed.